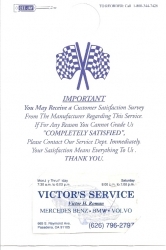 Customer service mirror hangers have slits for easy insertion of business cards. Your business card provides a personal touch. 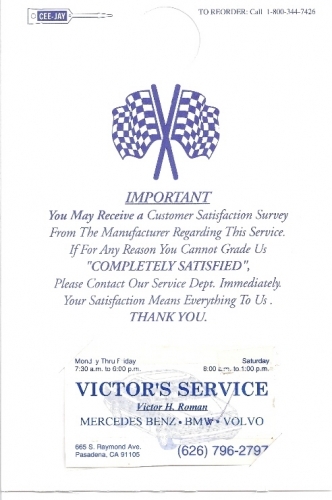 Customer service mirror hangers are a great way to encourage customer feedback & referrals.